UPHOLDING a pledge of anonymity, members of Alcoholics Anonymous share their experiences in Cambodia with a destructive and potentially life-threatening disease with Post reporter Kenneth Ingram. Names have been changed. CASUALLY stirring tea and instant coffee as their spoons chime like bells, four members of Cambodia’s AA signal the start of their one-hour meeting by distributing stacks of literature to one another. Although less than 20 individuals are part of AA in the Kingdom, they are a tight-nit group. 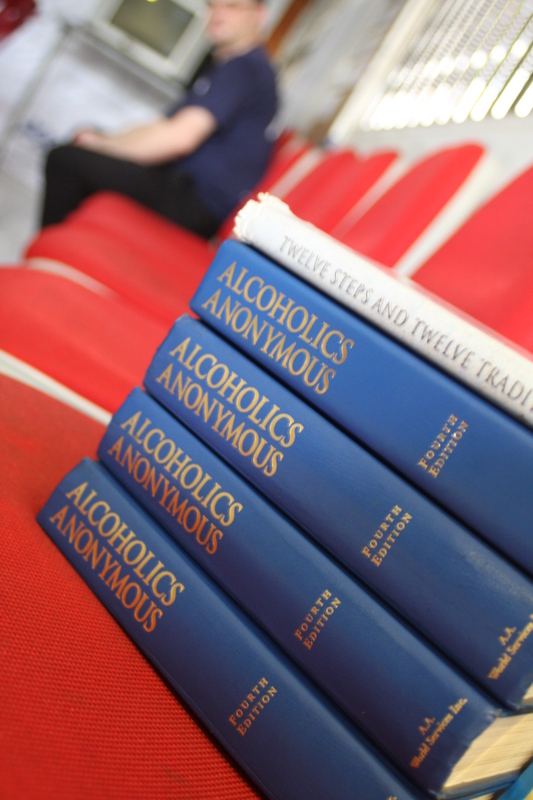 Alcoholics Anonymous, originally founded in 1935 in Ohio, United States, is a grassroots organisation that aims to provide people with a social avenue to overcome alcoholism. With a modest growth to about 100 members by 1940, membership has surged over the past 70 years to include more than 2 million men and women in more than 180 countries. “What led me to AA?” asks Roger. “I’d been a long-term expat, drinking every weekend since I first arrived [in Phnom Penh]. Looking back, I was an alcoholic before I came to Cambodia but only recognized it after a few difficult situations and some friends who mentioned [the possibility of alcoholism] to me,” he explains. “It depends on the person, but at some point we hit bottom. It can be legal, emotional, or health wise,” says Joe, another AA member. Hesitant at first, Roger continues by stating that the death of a relative, in addition to a “very unhealthy” personal relationship, combined with work stress and worked as “triggers” in his life. “I missed my first day at work because I started with one beer [the night before] and couldn’t stop,” he said. Open to the idea of seeking help, Roger sought the help of Buddhist monks who were offering a rehabilitation retreats at the time. “The monks asked me to go to their treatment at the pagoda but it was chemical free. There was no way I could give up cigarettes,” he recalls. He joined AA in Phnom Penh after finding an advertisement in a local newspaper in the mid-1990s, but Roger admits that he didn’t know what to expect and, to this day, remains unaware of any other options. According to those members present, the first AA meeting in Cambodia took place in the early 1990s. Two locations offer a total of 10 meetings per week in Phnom Penh, and while no other official meetings are held elsewhere in the Kingdom, two contacts are listed in Siem Reap on the AA Cambodia website. “The beauty of AA is that you only need two people,” explains Joe. Joe recalls the events that led to his first AA meeting well. “I was young and thought drunk people were funny,” he begins. “To me, I thought the party was over if you stop drinking. The reality is I’m one of those types of people who can’t handle alcohol. Personally, everything started building up and life became something I was enduring, regardless if good things or bad things were happening,” he said. Despite the serious subject matter, there is a notable, casual attitude among the members at their meeting, along with bouts of humour. Emphasising that there is far more to AA than meetings, Roger refers to an impressive variety of AA publications that are freely distributed and available for loan. The literature contains a diverse collection of personal accounts from around the world and highlights thse 12 steps and 12 traditions of AA, these principles are aimed at keeping the groups unified in a single approach to the problem. “Traditions are there to protect ourselves from ourselves,” explains Joe. Members are unanimous in admitting that meetings vary based on the people who contribute, but it’s about principles over personalities. Referring to themselves as a fellowship, AA members appear to share a common bond that may serve as an advantage in Cambodia, a Kingdom not without = dangers for legal or illegal substance abuse. Aside from the health and legal ramifications, one member recalls a time when he relapsed in Phnom Penh after his bicycle was stolen. He later awoke barefoot with is pockets empty. Members say that AA gives them a network to rely on, especially for those with strained or broken relationships, or those who prefer to keep their experience with problem-drinking private from family and friends. AA members in Phnom Penh are presently all expats. Khmer visitors have occasionally participated, although members say it’s “highly unusual,” suggesting the reason may be that no interpreters are available at meetings. AA literature is available in the Khmer language; however, including the basic text for AA, known as the Big Book, in addition to three pamphlets and a color comic book are available in Khmer. Declared as an illness by the American Medical Association in 1956, alcoholism was recognized by the International Classification of Diseases as both a medical and psychiatric condition in 1991. But the success of AA remains disputed by academics and health care professionals. Limited by anonymous surveys and inconsistent definitions, some research suggests that the 12-step program was over 75 per cent effective in the past, while other documents argue the success rate is 5 per cent – or lower. Joe says the group in Cambodia focuses on the success of other members, some of whom have remained sober for more than 30 years. No matter how meager the progress, he says it’s important to learn what works for individuals and to support one another.